One of my favorite breakfasts …………. -In a mixing bowl, combine plain flour & wheat flour and add knead into a soft dough by adding water gradually. Keep aside for 20 minutes. -Now make small balls of dough, 2 per paratha. 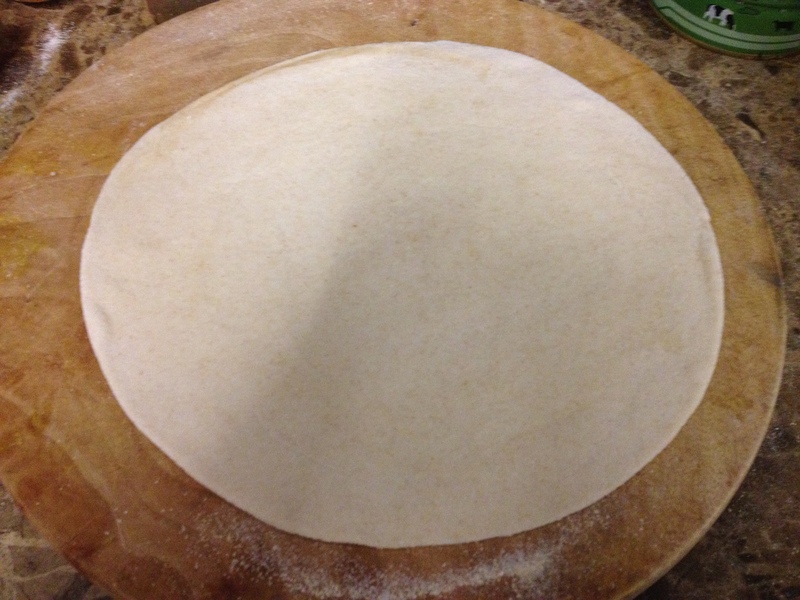 -Roll them flat with a rolling pin into a saucer size chapatti. 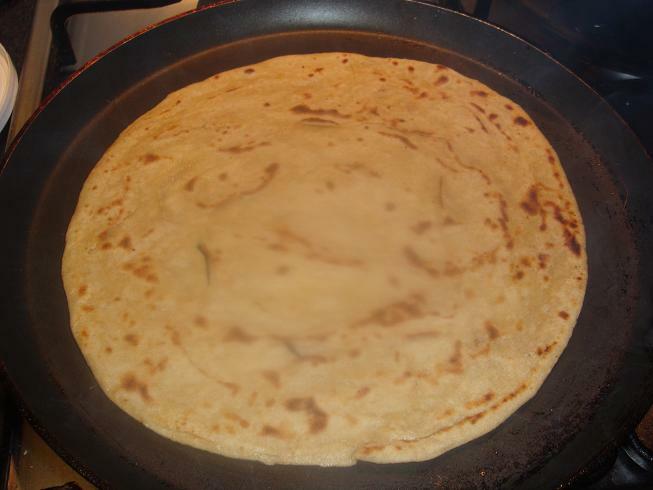 -Place 1 ½ – 2 tbspns of radish filling on one chapatti and cover it with the other one. Press the edges to seal. 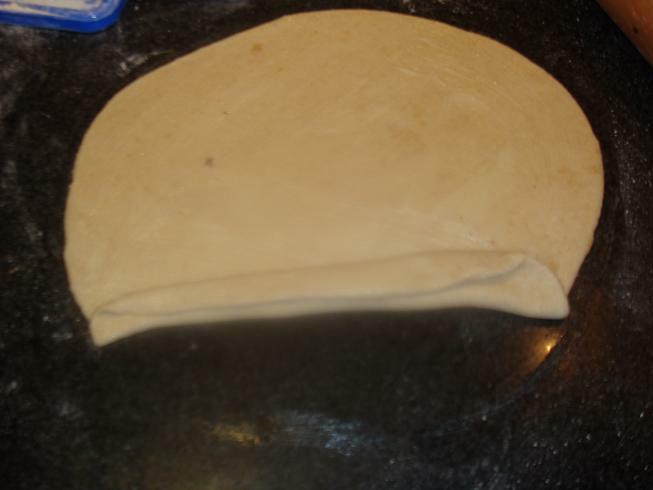 -Flat with your palm and fingers and then use a rolling pin to plat the edges. 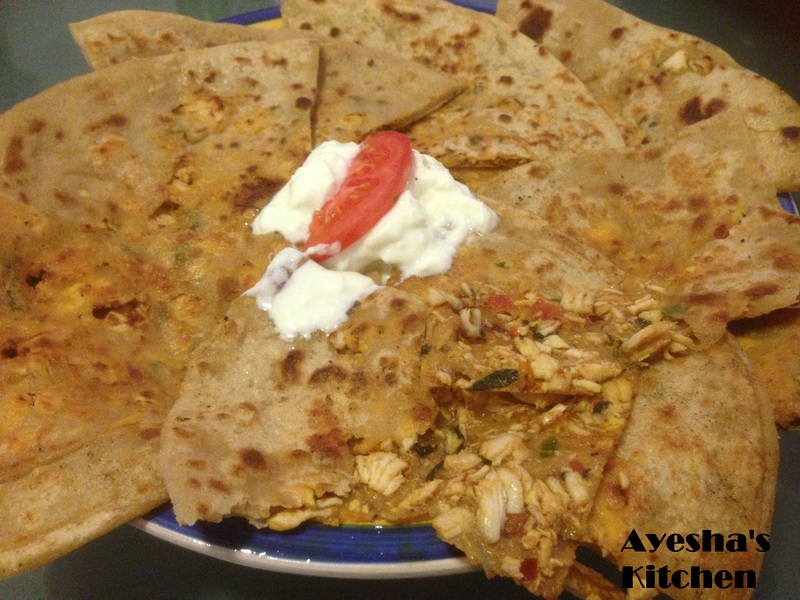 -Place the parathas on a hot griddle. After 15 secs or when it looks like it is half cooked flip the side and apply some oil. I use spoon to apply oil. -Then flip the side and apply oil to the other side. Cook from both the sides until both are brown and good. -Do the same with remaining dough and filling. -Serve hot with anda, yogurt and achar. Famous Breakfast combination in the province of Punjab, Pakistan. You can get it anywhere in Punjab even in NWFP and other provinces but home made is the best and when Ayesha’s Kitchen recipe is followed its awesome! Try out and let me know what you think about it! -In a mixing bowl, crack 2 eggs, add milk, salt and red chilli flakes and whisk. -Now add vegetables and stir. 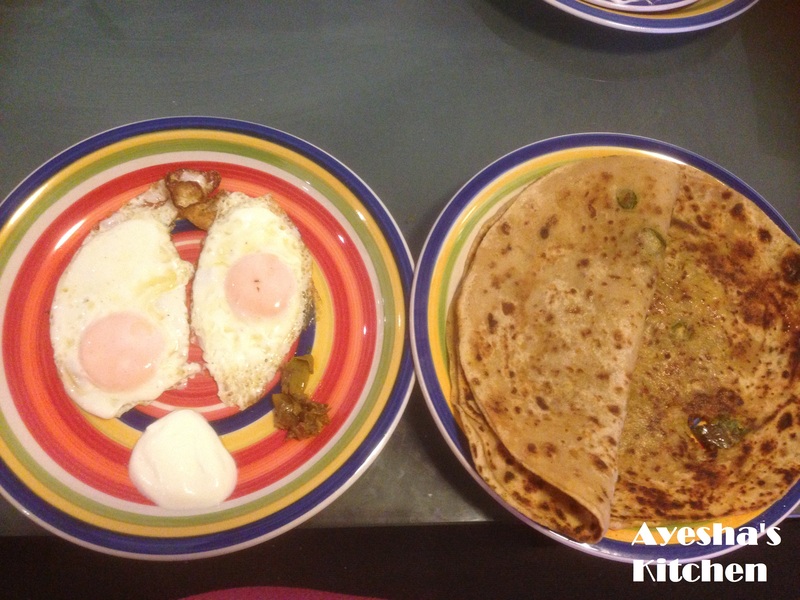 -Heat some oil on a griddle (tawa)/ or in a frying pan and spread this egg mixture all over. When egg starts to turn white on the edges, flip the side and cook until its golden. -Serve hot with parathas and achar. -Heat oil and fry garlic and tomato until tomato tend to lose its stiffness. Add spices and salt. Mix. -Add chicken pieces and cook covered until the moisture evaporates. -Take off the lid, add green chillies and coriander and stir fry on high speed. -Take it out in a plate and after cooling for 20 minutes, start mashing it. 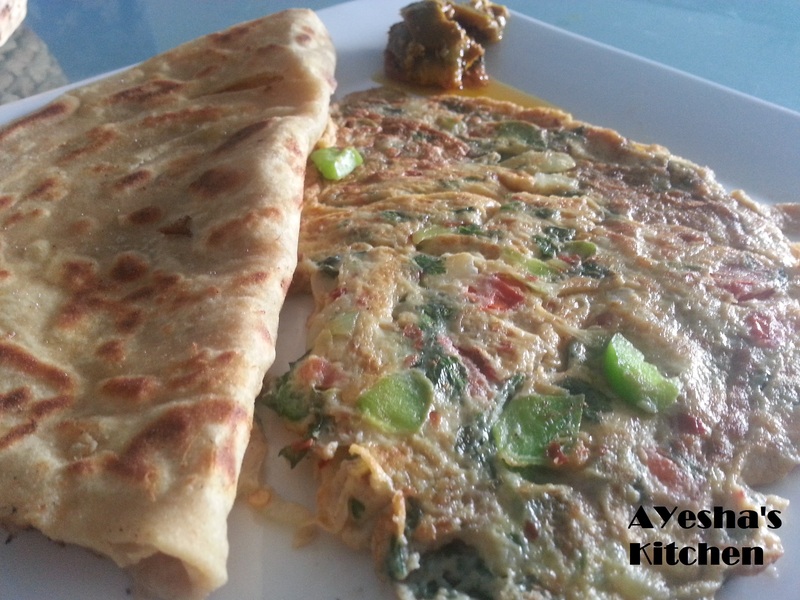 -Knead the paratha dough and keep aside for 10 minutes. Refrigerate for 30 minutes. 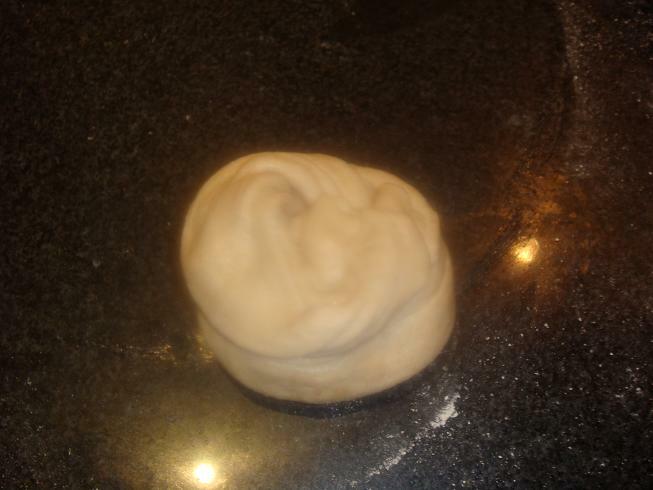 -Make 2 small balls of paratha dough. 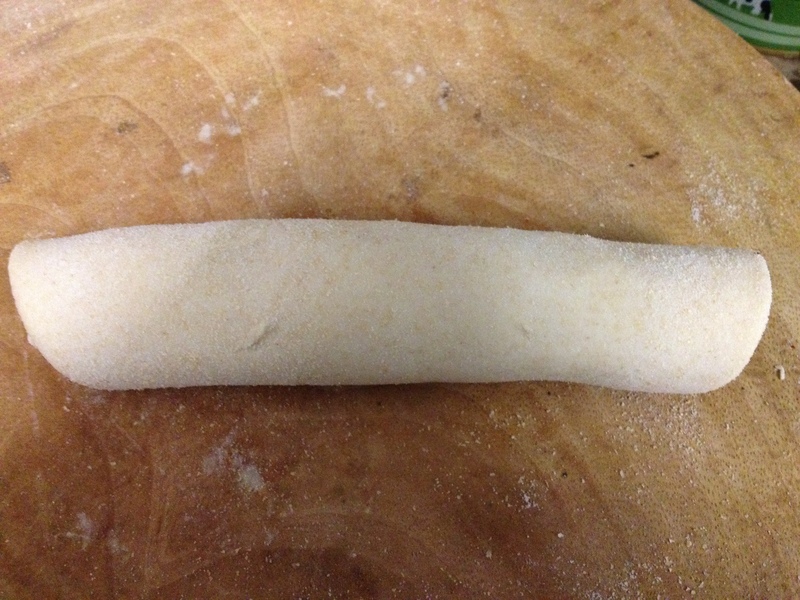 Roll them in lose flour and make small flat breads with a rolling pin. -Now on one flat bread put a full tablespoon full of mashed chicken mixture. (put the filling in the middle of the flat bread). 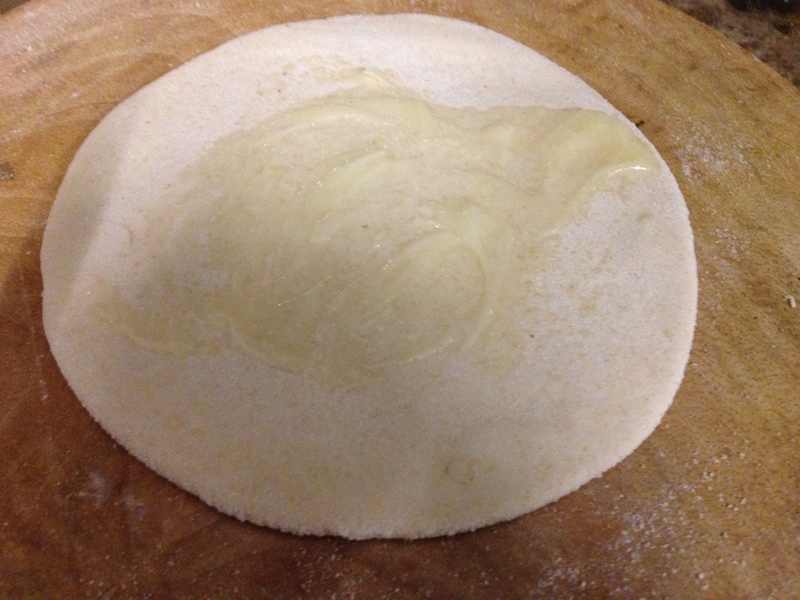 Put the other small flat bread on the top of the filling and seal the edges by pressing them with your fingers. Press the paratha with your hand. 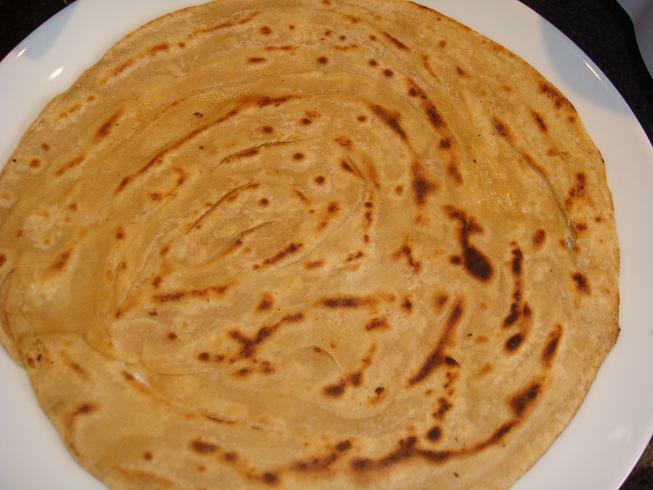 Dust with some lose flour and roll it into a big chapatti. 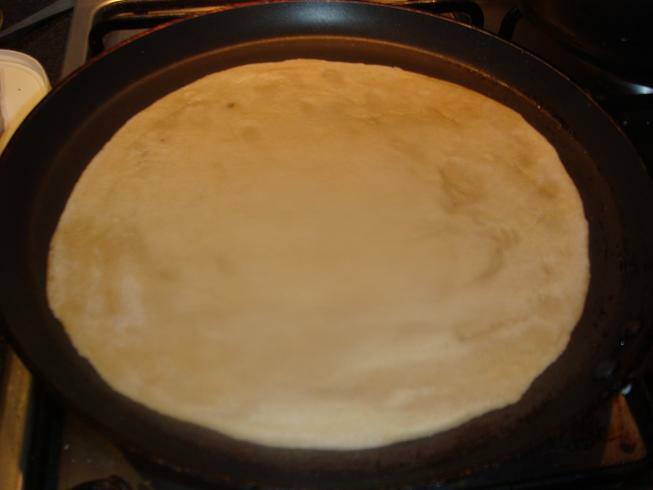 -Heat the flat pan and place the chapatti with filling on it. -When it starts to change its colour, flip the side. -Apply some oil on the cooked side and flip the side. -Apply some oil on the other side too and fry until golden brown. -Take it out on a plate and serve hot with tamarind chutney or mint sauce. -Do the same with rest of the filling. With this quantity of filling you can make 8 parathas. 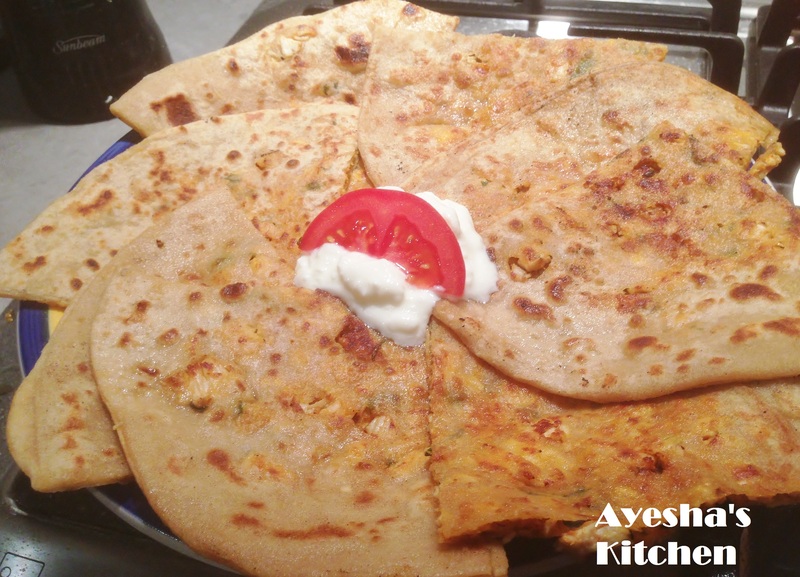 -Knead the dough for parathas and keep aside for 20 minutes at room temperature. -And for chicken filling, Combine everything (except oil) in a mixing bowl and marinade for around 6 hours. 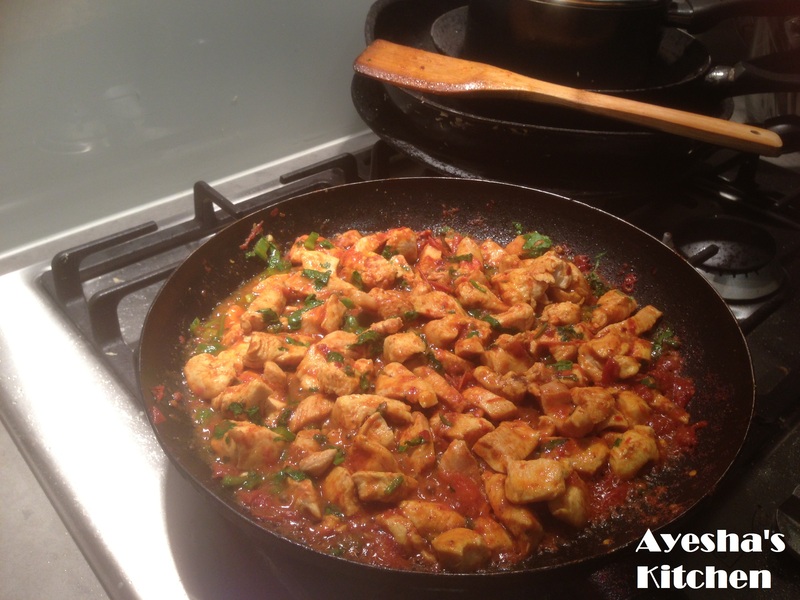 -Heat oil in a pan (nonstick, with a lid) and add the marinated chicken. Stir and cook it covered on low heat for around 30 minutes. -Take off the lid and cook on medium – high heat for 10 minutes with constant stirring. Remove from heat. -Heat a piece of charcoal until it is white. 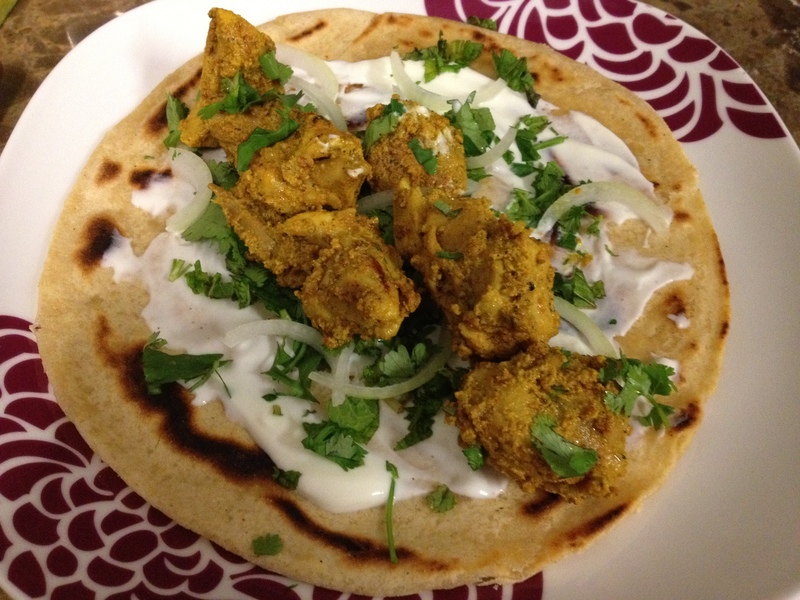 Place it on a 4×4 aluminum sheet and place it on the top of chicken tikka. Drizzle some oil on it (coal) and cover the pan with the lid for about 10 minutes. -After 10 minutes, remove the coal and your filling is ready for paratha rolls. 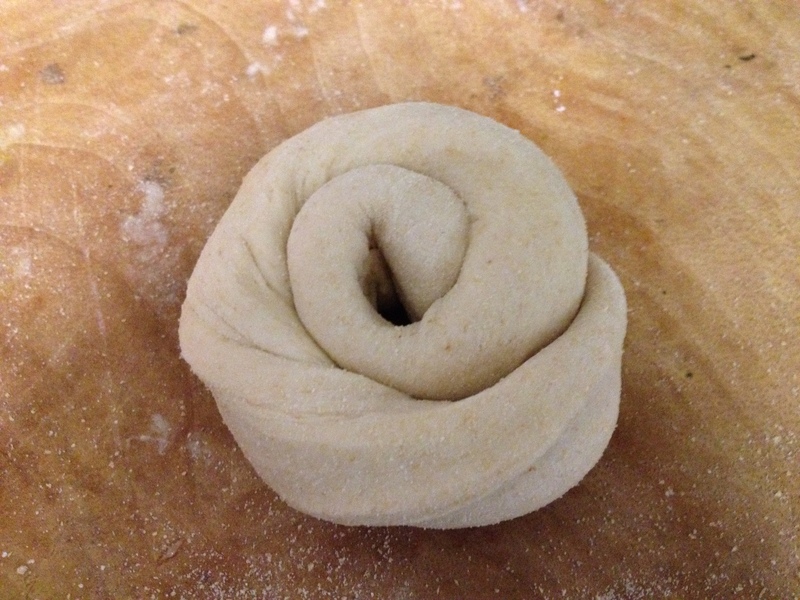 -Take a handful of kneaded dough and shape it round with all ends closed. Use loose flour to do all this smoothly. -Now roll it with a rolling pin. -Apply some ghee on it and start rolling it. Roll with your hands like a snake. Then shape it like a snail by tucking the last part underneath. 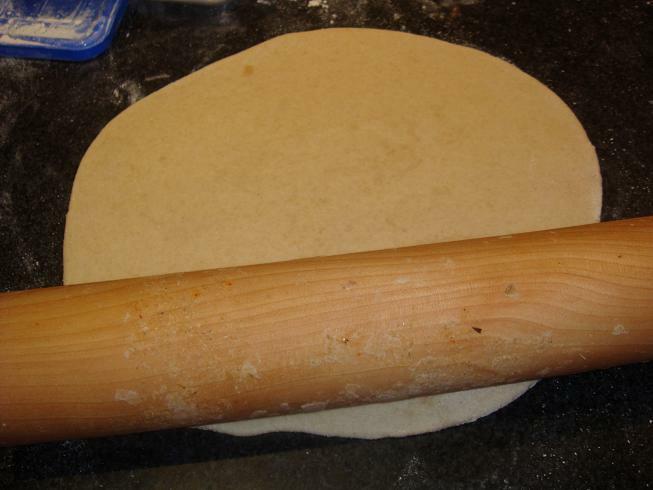 -Roll it flat like a roti. -Now place it on a hot griddle and when it starts changing its colour, flip it over. Now glaze it with some ghee and then flip over again. Glaze the other side with ghee and fry it until it is a bit red. Remove it from the hot griddle and place it on a plate. 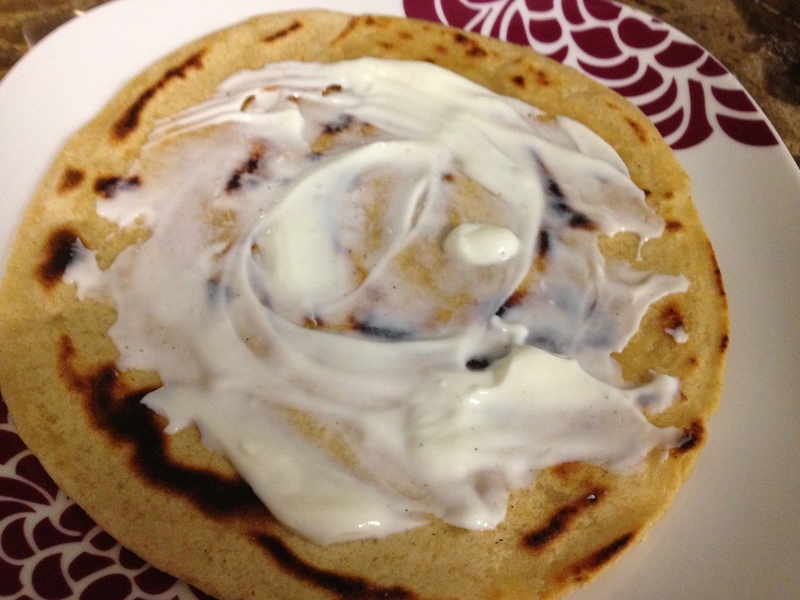 -Take a tbspn of yogurt and glaze the paratha with it. Sprinkle some chopped coriander and mint and then some onions. 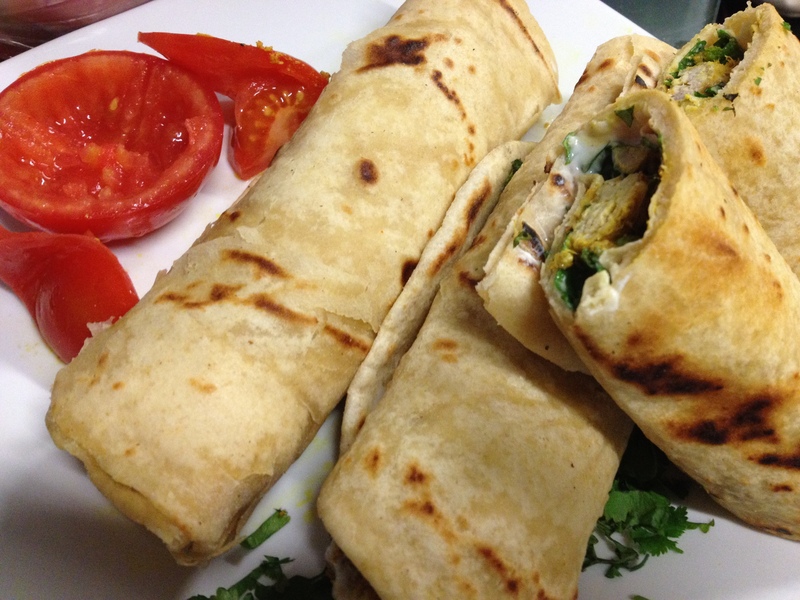 Now place some chicken in the middle of the paratha and roll it. -Do the same with the rest of them. This recipe will make 4. -Place them in a dish and serve hot with chutney if you want to otherwise they taste so yum that you don’t need chutney. -Take a lump of Paratha dough and Make a kiwi Fruit sized ball. -Press it with your palm and then Flat its edges with your Fingers. 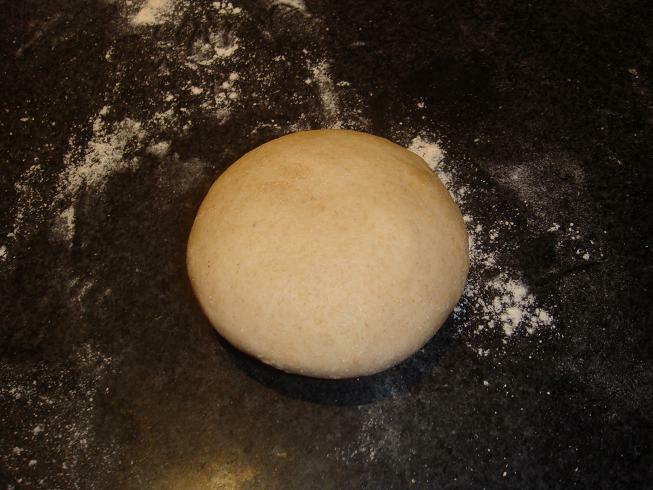 -Now with a rolling pin, Flat this ball into chapatti. Spread 1 tbspn of ghee on it. -Now roll it into blinds. -Then Fold it with grease side top. -And then press it with your Fingers. 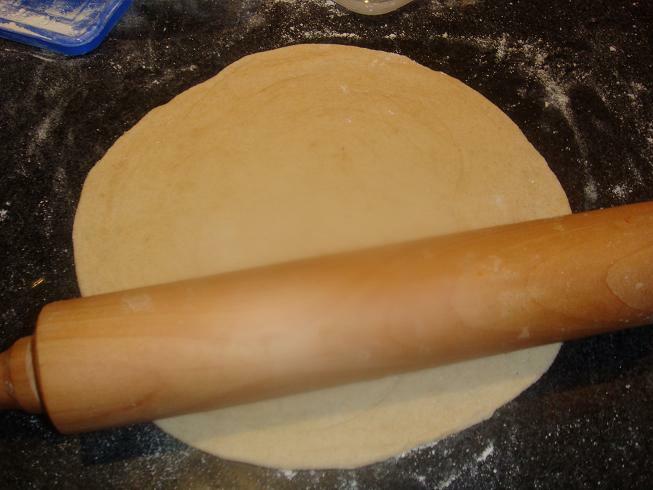 -On a lightly Floured surface roll it into a chapatti with a roller pin. -Place this on hot Flat pan. 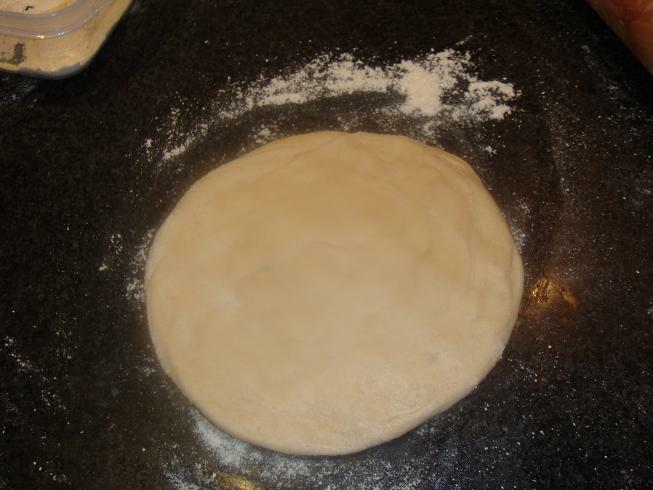 -After 5 – 6 seconds, turn its side and apply another tbspn of ghee on the half – cooked side. -After 4 seconds, turn its side and apply another tbspn of ghee on it. -Now turn he sides Frequently and when its cooked (hot red) serve it hot with lots of pickle. 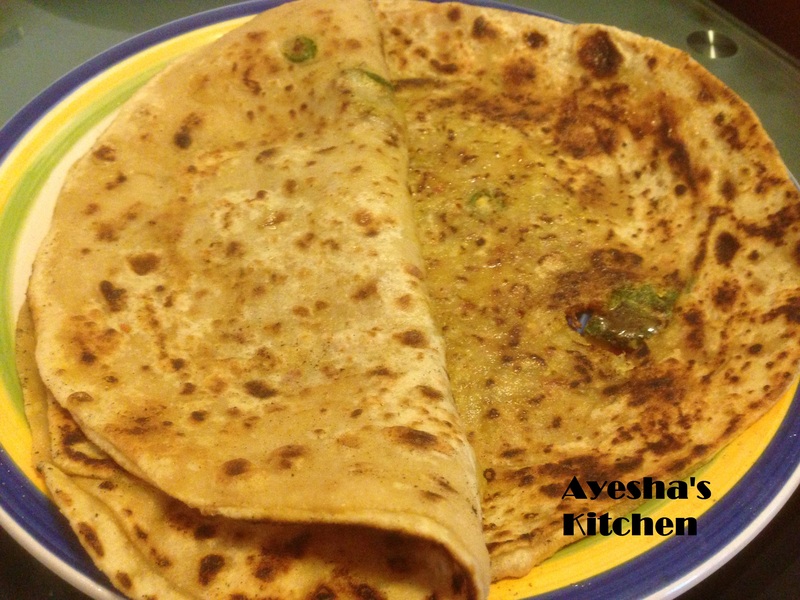 Tasty Lachha paratha is ready to be served. 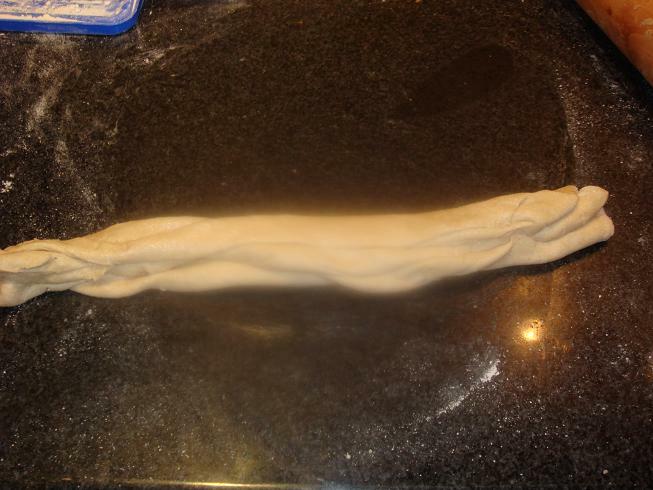 -If its greasy and difficult to roll, then use some lose Flour. -Cook on medium low heat. -Marinade mincemeat with all the ingredients given under the heading of Filling. In a thick bottomed pot, place this whole mixture and cook it covered on very low heat. -After 30 – 45 minutes, it will be cooked, take it out in a plate and allow it cool. -Now make a kiwi Fruit sized ball and roll it on a lightly Floured surface. Place some Keema*, mixture on it and close all of its edges with Filling trapped in. 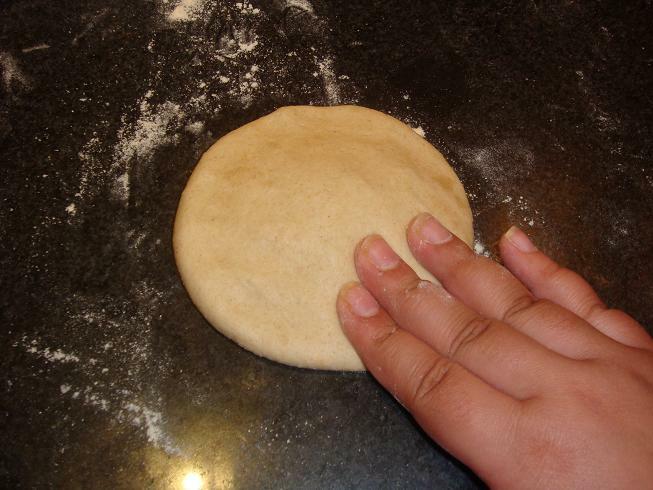 -Now roll it again into a nice chapatti and place it on hot Flat pan, tawa*. -After sometime change its side and spread 1 tbspn of ghee on it and then change its side again. -On the other side spread 1 tbspn of ghee and then change its side again. -Change its sides Frequently and when it is hot red, remove From heat and serve hot with yogurt or sour cream. -Do the same with others. 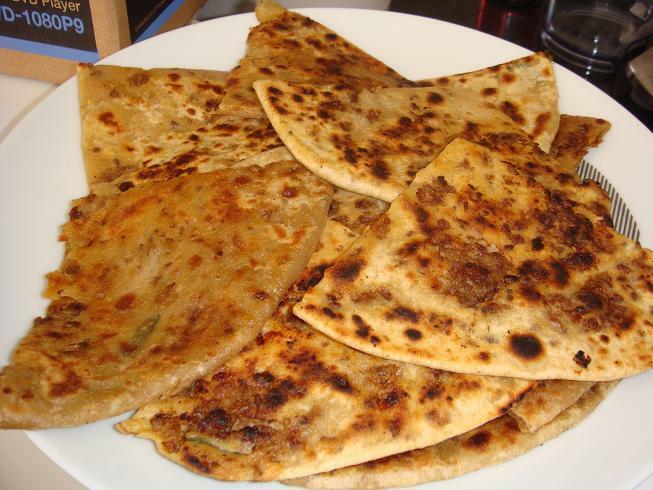 Tasty Keema parathas are ready to be served. -No need of adding water while cooking mincemeat.